In 1991, Corpson Container Service Ltd. 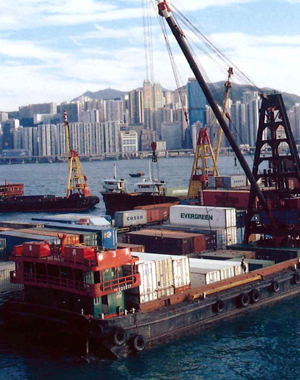 Started the water-front terminal and container lifting service at the Ramble Channel Public Cargo Working Area and since then, our water-front terminal service has been	expanded to other areas such as Yaumatei and Stonecutter Island Public Cargo working Area. In order	to cope with increasing of cargo transportation, Best Trend Enterprises Ltd., has been set up. 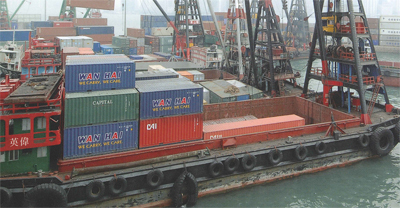 Also using the container yard of Shine Logistics Ltd., since July, 2006. 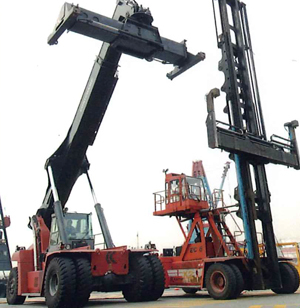 The yard can support the anchor of many barges for lifting containers at water-front terminal; with the using of	the "Container Reach Stacker" & "Empty Container Stacker", making our equipments much more perfect, also provide 24 hours service. Equipped with the standard weighbridge, fortlifts in each terminal. Making possible for our clients to grasp the operation every second so as to improve their market	competitions.